How the resignation of Steward CEO, Kwanele Ngwenya, has been treated in the media and by sources inside the company itself is quite curious. At least 3 reputable media companies (The Source, Financial Express (email news so can’t link) and The Herald) reported since yesterday that Kwanele Ngwenya had been forced out of the bank apparently for corporate governance issues. The bank refuted this yesterday, and most outlets have the bank’s official statement on it – essentially, that Ngwenya simply chose not to renew his 2 contract, and there’re no drama to it. We called a number of people inside the company and the general message we got was either that there were no such issues, or, if a related issue was there, it was being twisted and fed to the media as a negative. Even the other “corporate governance” issues sent to us by sources (which we haven’t published here as that would just fan the flames) failed at the first test once we spoke to people near the core of the development. Take the claim for example that the bank was performing poorly. This is clearly not the case as anyone can read the financial results and see that if anything, the bank’s performance has improved significantly. A CEO that manages to reduce a $22 million (half year) loss making company to just $3.7 million is doing something right. Information we have actually confirms that an On Site Inspection conducted by the Reserve Bank of Zimbabwe commended the bank and its leadership for dealing with legacy issues inherited from the TN days. One report that we did see though, had mention by the bank’s chairman Tomisin Fasina that the bank needed to improve it’s overall rating from “3” to “1” and that to do this a lot of work needed to be channeled towards making processes and procedures robust and improving corporate governance. Our opinion (again, helped by sources) is that the issue of conflict between him and the management at Econet Wireless may be were most of this is coming from. Once source even referred to Ngwenya as a victim of his professionalism. Apparently, he “calls a spade a spade”. But what company out there has no politics? Ngwenya’s resignation comes just 6 months after former EcoCash CEO, Cuthbert Tembedza, left the company to pursue other opportunities. Tembedza had been at Econet for a year and half. 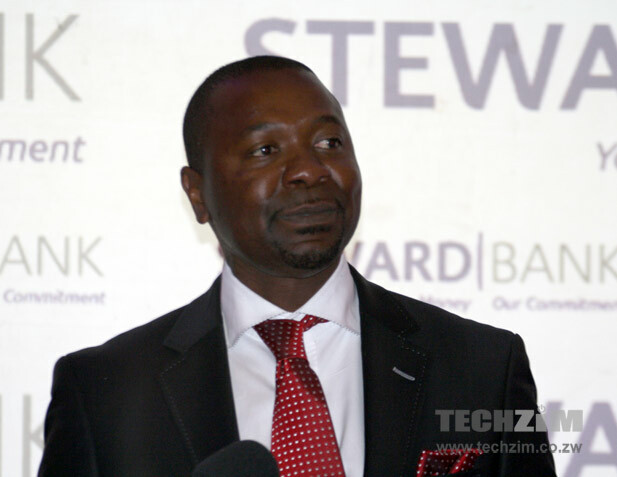 Judging just by the positive performance of EcoCash and Steward Bank, the departure of these two CEOs from the units running what may be Econet’s most important product into the future, it would be an unfortunate thing if this could have been avoided. Each and every organisation has its own culture. So once there is an incompatibility between the organisation’s culture and yours, then there are only 2 options, resign or get fired! Kwangle is a great CE. 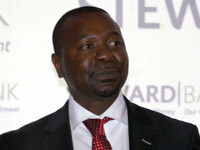 Steward Bank and Econet will miss his professionalism. I get the feeling that Econet has mishandled the communication around the CE’s departure and there will be revelations in the coming weeks or days on the real dynamics within the Econet setup. One involves changing the culture. Can only be achieved from the top. Strive Masiwa’s vision is being thwarted by hungry lions he entrusted but have now invaded Econet. They wanted Steward to be a bank with loopholes and a CEO as a “yes man” but Kwanele Ngwenya is too Godly and ethical for that. RBZ proved all is well from their witchunt audit. There is politics and power hunger in the group of companies. Ngwenya has nothing to lose but the bank.